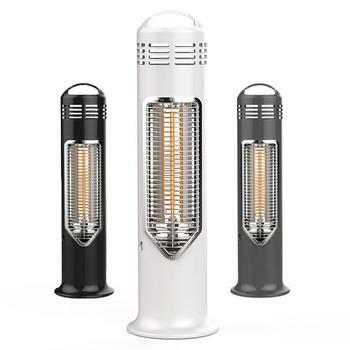 Discover a diverse range of floor-standing outdoor heaters to suit all tastes, budgets and environments. 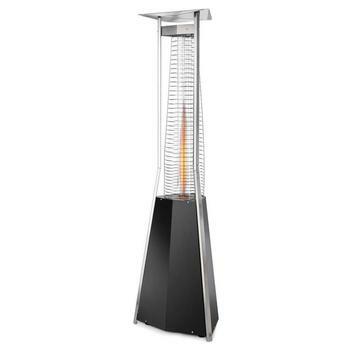 Why a free-standing patio heater could be perfect for your garden or outdoor area? 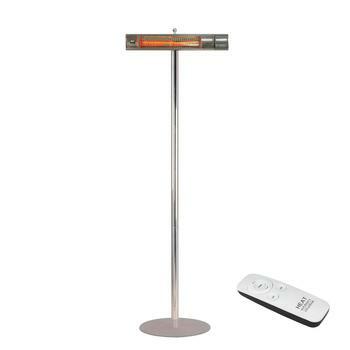 Whether you prefer a tall, elegant showstopper to use at outdoor parties or a shorter, more discreetly designed heater, our selection of gas and electric free-standing heaters is incredibly varied. 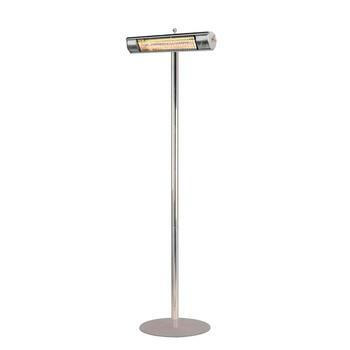 Search our free-standing patio heaters via the product links below, contact us to ask any question about the range or continue reading below the products section to find more information about choosing a free-standing electric patio heater. Made from lightweight materials such as aluminium, heat-resistant plastic and sheet stainless steel, the majority of our free-standing patio heater designs can be positioned and repositioned easily. 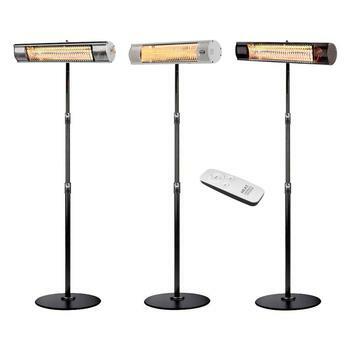 Although they’re taller and slightly heavier, models such as the London Gas Lamp are easy for you to move without help. Equipped with a set of wheels on the base, you can roll them along the patio to wherever they need to be (making sure the heater is switched off first!). Many of our free-standing units have variable heat settings, so you can adjust the level of warmth in your environment to suit you, your guests and the prevailing weather conditions. Whether you operate them manually or use one of our stylish remote controls, you maintain complete control over the comfort level in your garden or outdoor space. 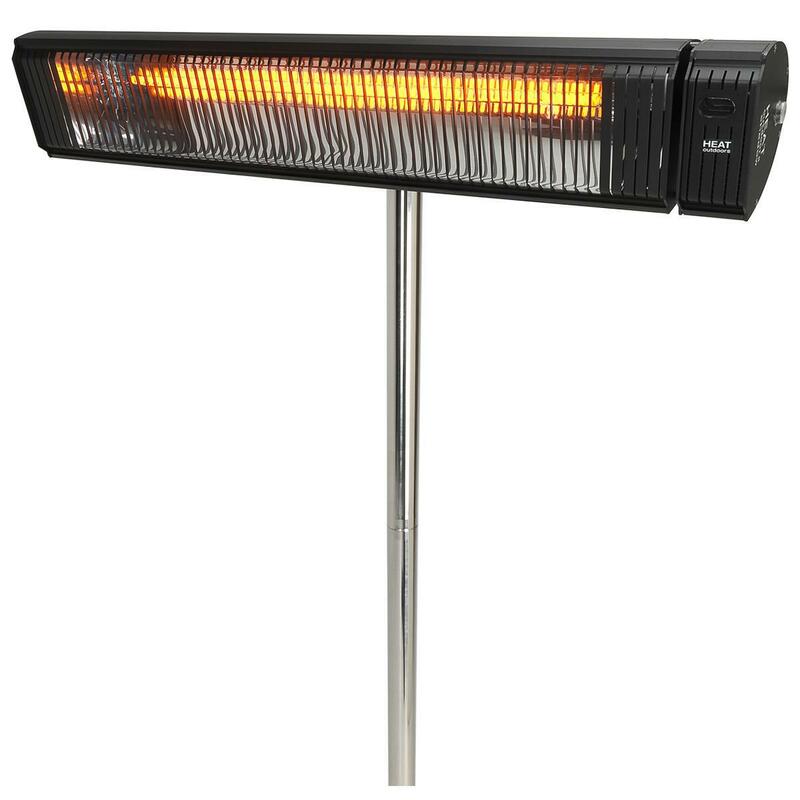 Our free-standing heaters are particularly tough and long-lasting. We want you to enjoy your outdoor appliance throughout its entire lifetime, so we only stock the most reliable and trusted heating brands. All Heat Outdoors electric heaters are protected to a level of IPx4 or above, meaning they’re suitable for use in all weather conditions. Many of our floor-standing gas heaters such as the Goliath can be protected with a bespoke frost, water and guano-resistant cover, so you can store them outside all year round and be confident that they’ll remain pristine. 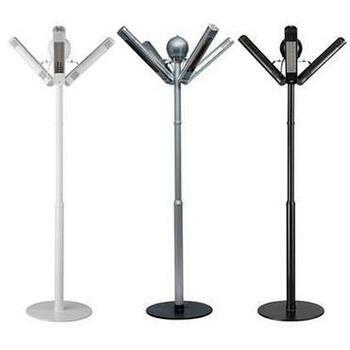 Electric free-standing patio heaters vs. gas free-standing patio heaters – which is better? The hot debate between electric and gas heater enthusiasts won’t be resolved any time soon – the truth is, both types of appliance have distinct benefits. The question really ought to be ‘which kind of heater is best for me?’. 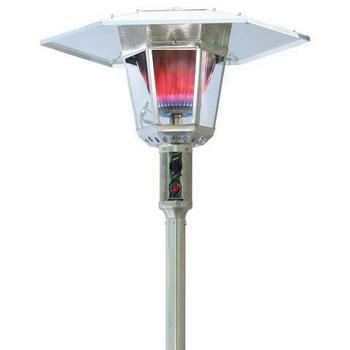 The obvious advantage of electric patio heater free-standing units compared to gas versions is that the former can be used indoors and outdoors. Gas heating is only suitable for well-ventilated outdoor environments. Electric patio heaters use infrared technology to generate heat, which can help you manage your electricity bills more easily. Infrared is usually a more economical solution if you want to heat environments regularly or for longer periods. While they provide the same level of comfort as a gas burner, infrared heat lamps require approximately 60% less power to do so than an LPG-fuelled model. Gas canisters are a heavy (but necessary) part of a gas heating appliance, which – when fuelled – does make these models heavier and more cumbersome than electric versions. Without any additional weight, free-standing electric heaters are much lighter than gas-powered versions and therefore easier to move into storage or take on the road. Electric heaters generate warmth just like the sun, transmitting direct electromagnetic waves that are instantly converted into warmth when they touch people or objects in their path. For this reason, users feel the benefit of a free-standing electric model from the moment it’s switched on – no waiting around. Free-standing gas heaters are a more traditional choice of outdoor heat source – their comfortable flames remain a popular feature of private gardens, barbecue areas and pub smoking areas. Gas not only provides enormous comfort in an outdoor space – it’s arguably a more striking and visually appealing source of light than infrared. 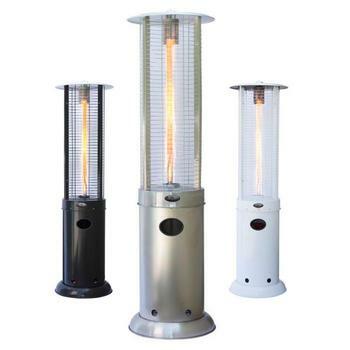 Whether you’re kitting out a swanky restaurant terrace or creating an intimate outdoor dining area for family and friends, the flickering flames of a gas free-standing patio heater are more elegant than the artificial glow from an infrared heat lamp. A free-standing heater powered by gas doesn’t need to be placed near an electric socket – in fact, you can use it near or far from any fixed building or structure. With a self-contained fuel canister, gas heaters bring their glowing warmth to any outdoor location. A great way to minimise trip hazards, the lack of wires and extension cables makes them one of the safest choices for busy environments such as packed beer gardens and restaurant terraces. Gas heaters radiate a skin-tingling halo of heat over a large area, and are extremely effective at cutting through an icy night-time chill. Unlike free-standing electric heaters (which beam their heat in straight lines), users don’t need to be particularly near a gas burner to feel nice and cosy. Is it easy to transport a free-standing patio heater? Portability and maneuverability are two key attributes that we consider when designing our free-standing models. Useful for providing heat at trade shows, temporary event venues and building sites – all our models can be assembled and transported with ease. 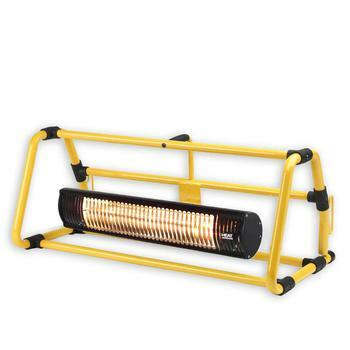 Designed with the workplace in mind, our lightweight floor-standing heaters are a perfect solution for flexible or temporary work environments such as building sites and contract locations. Need heat you can take to work (or pretty much anywhere)? 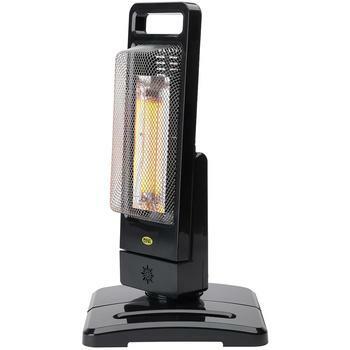 Our Guadalupa portable swivel heater is so light, you can pick it up using only your little finger. Fully waterproof, the Guadalupa can be used safely at indoor or outdoor events, or exposed workplaces such as construction sites. Built for the outdoor events and trade show industries, our Shadow Ultra Low Glare can be attached to the top of a portable floor stand and operated via remote control. The Shadow ULG’s tubular steel stand is easy to transport, can be assembled in sections and has a built-in cable management system to minimize trip hazards at your event. This makes it far safer to use than a traditional tripod stand. 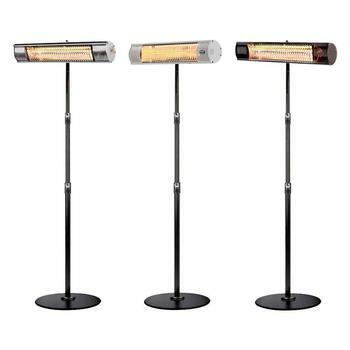 An alternative telescopic stand with a weighted base is also available, enabling a more flexible range of height. 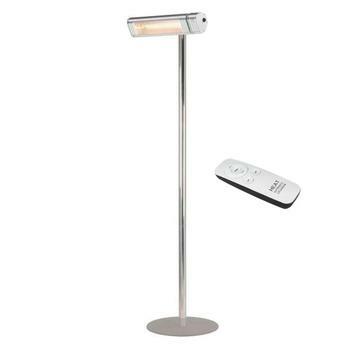 A cutting-edge Scandinavian heater – the ultra-safe IMUS ECO – can be moved easily and is safe to touch while in use. Made from lightweight, heat-proof plastic, the IMUS ECO has useful carry-handle that makes it highly portable and ideal for personal use anywhere. 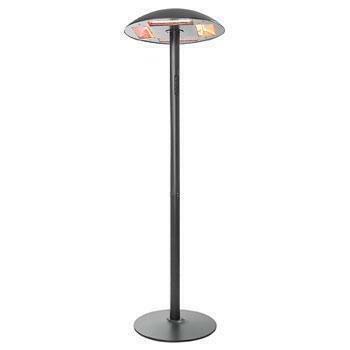 100% child-safe, this little free-standing patio heater is ideal for family environments – especially if you live with someone who feels the cold. Take it with you when you go to bed for a little extra warmth on chilly nights.